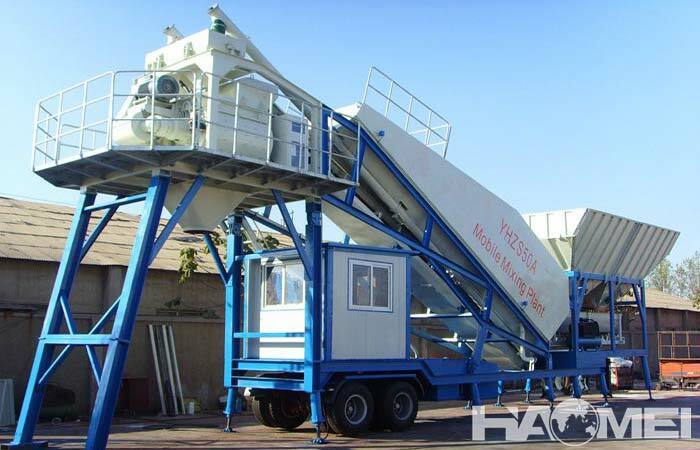 The common models in the mobile concrete mixing plant factory are YHZS35 and YHZS50. YHZS series mobile concrete mixing plant has the advantages of high degree of automation, strong maneuverability, stable performance and convenient maintenance. It is suitable for concrete construction of airport runways, docks, roads and bridges. 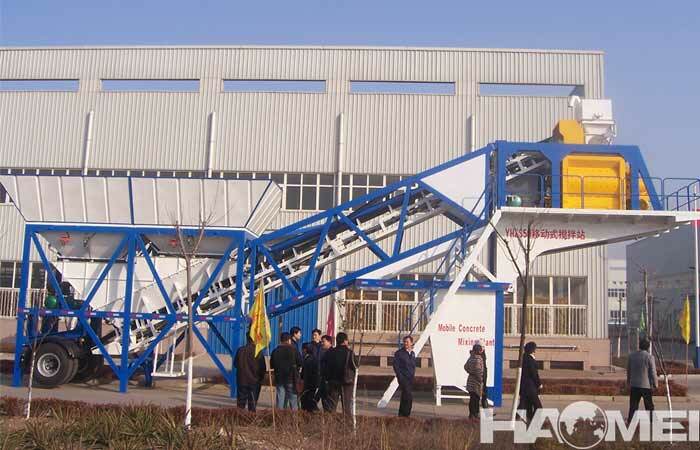 YHZS35 mobile concrete mixing plant is one of the most popular models among all models. 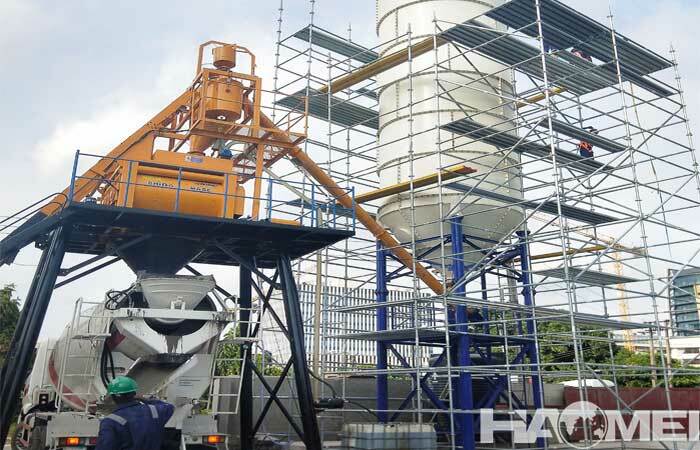 The theoretical productivity of YHZS35 mobile concrete mixing plant is 35m3/h, which basically meets the general construction demand for concrete, and from the overall control stability, the design of each module of YHZS35 mobile concrete mixing plant is scientific and rigorous, and it can be used for long-term production. 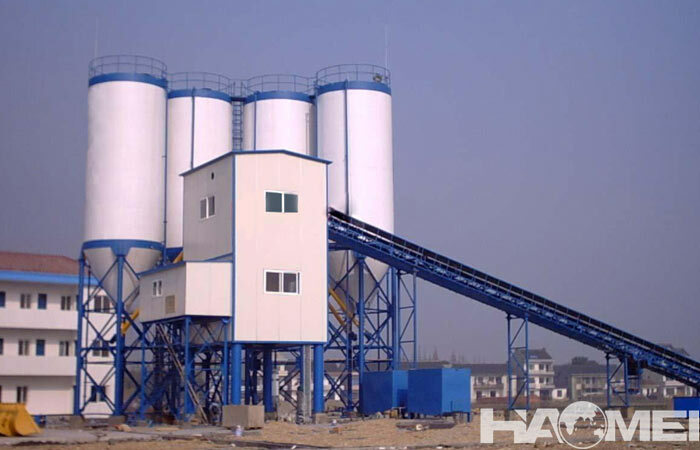 Moreover, the YHZS35 concrete mixing plant is very cost-effective and can give customers a big return on their investment. The supporting equipment of YHZS35 mobile mixing plant includes JS750 concrete mixer, PLD1200 batching machine, weighing unit, control system, screw conveyor, belt conveyor and other related equipment. Among the mobile concrete mixing plant factory commonly used models, the YHZS50 mobile concrete mixing plant has a high overall production capacity. 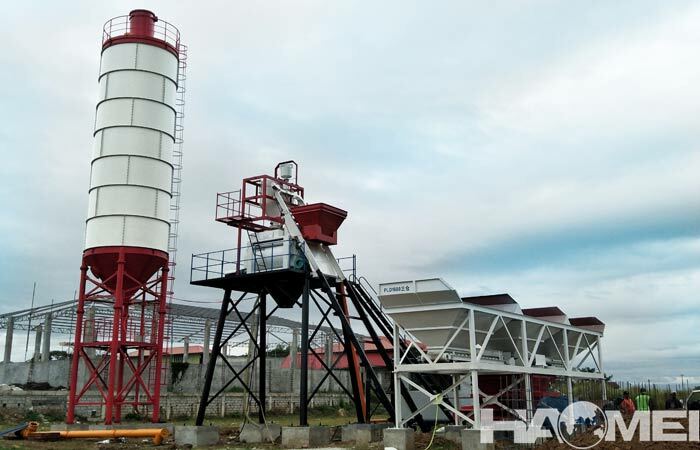 The YHZS50 mobile concrete mixing plant is equipped with the JS1000 concrete mixer and the batching machine is PLD1600, which is equivalent to the HZS60 concrete mixing plant model in the stationary concrete mixing plants. Unlike the stationary concrete mixing plant, the price of the mobile concrete mixing plant is higher, the concrete mixer selection, because of the concrete mixer of the mobile concrete mixing plant is without a hopper than the stationary type. This type of concrete mixer can be used with a belt conveyor to achieve higher productivity. 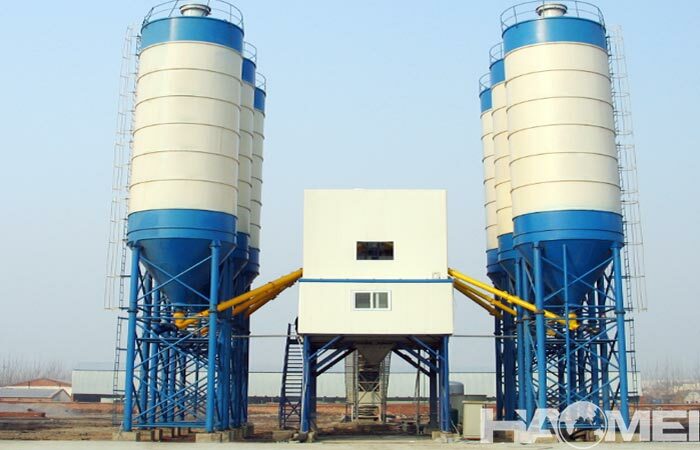 Therefore, the production capacity of mobile concrete mixing plant is not inferior to that of a fixed mixing station.